Direct drive rotary servo tables feature IP rated ingress protection with absolute encoder. Hollow bore (shaft) version available. IP rating assures against ingress of water and external particles. IP65 rating assures against ingress of dust and small water jets. IP66 rating assures, in addition to IP65, against ingress of powerful water jets. IP67 rating assures, in addition to IP66, against water penetration under heavy water jets and when partially submerged. Compact package and superior design of the DAM Series rotary stages was optimized to provide highest torque density in the smallest volume. 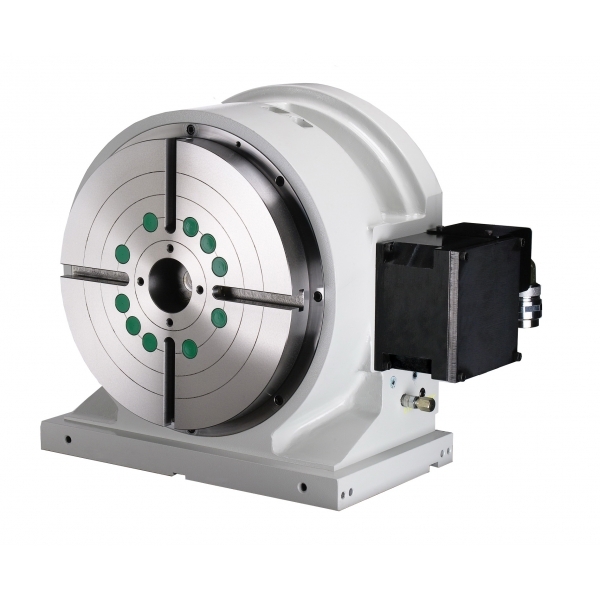 To maximize positioning performance DAM Series rotary tables utilizes direct drive three phase segmented brush-less motor technology which allows to optimize torque-speed performance of the stage. "Lo-Cog” magnetic design assures smooth rotation and dynamic performance. Accurate Positioning performance is assured with precision ABSOLUTE encoder that provides arc-sec positioning resolution. The motor and rotary encoders are directly coupled to eliminate coupling backlash.